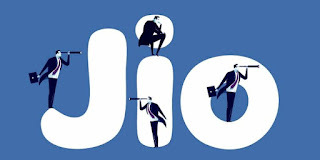 Hello Everyone here sntricks come with New Jio Recharge offers for all existing Jio User. 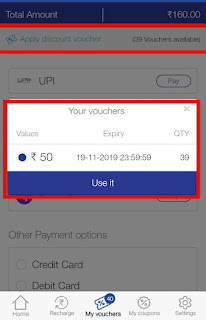 This Jio Recharge Loot You will Get Flat Rs 50 Off On Jio 98 & Rs.149 Recharge Plan. You will get Rs 149 Jio Plan in Just Rs 110 + Rs 11 Jio Data Booster. This Plan is Applicable For 1 month. This Trick only work if you have a Jio Rs 50 Voucher. 7. Click Proceed and “ Buy Now “ Option. 9. Final Price will be Rs 110 if You choose Jio 149 Plan. 10 Pay Using any Suitable Payment Mode. 11. After Successful Recharge You will get voucher Rs 149 or Rs 98 + Rs 11 in your Voucher Section. Redeem as You want. Note – This Trick will work in Rs 98 and Above Jio Plan. You can Do multiple Recharge Of Rs 149 or Rs 98 Plan. I hope this trick helps you a lot. If you have any queries then feel free to ask in the comments box.